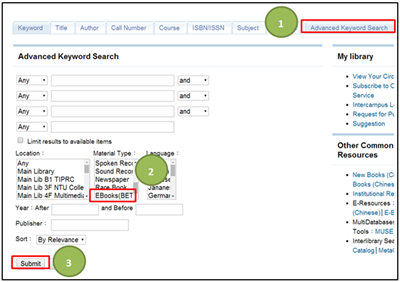 You may use online library catalog to search by typing the e-book’s title, author, keywords or subjects. 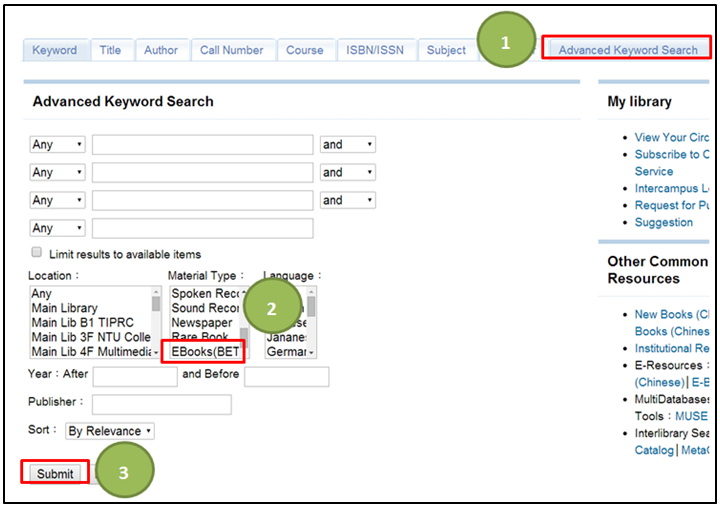 Enter the “Advanced Search” page à Select “Ebooks” in the material type column. 2. How to download or print out electronic books? Go to bibliographic record of the electronic material à Click the hyperlink to enter the full-text resource. As there are different specifications of the use of e-books among publishers, you may have limitations in printing and downloading the articles. 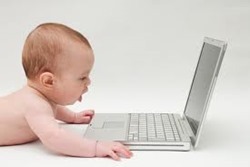 The instructions are offered in “Electronic-book” webpage or you can go to Google to search database support center to see the description and specifications of the database. *If you are off-campus, please do remember to set your Virtual Private Network (VPN) before accessing to NTU library e-resources. 3. Use mobile device to access e-resources! 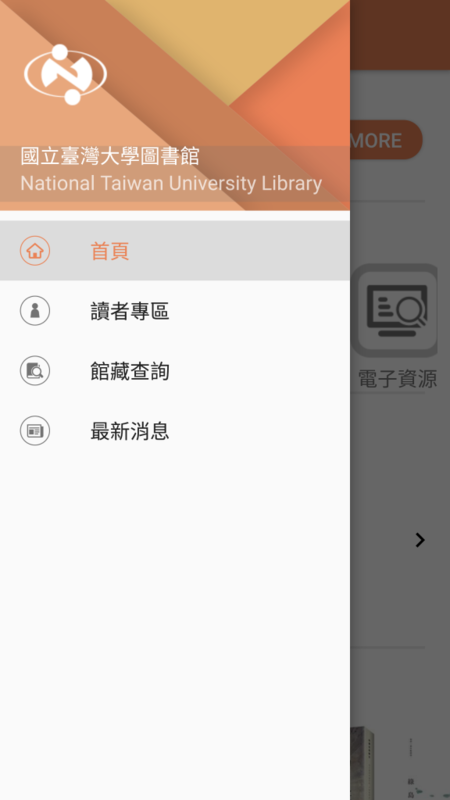 We suggest smartphone and/or tablet users connect to our mobile library website or download our library apps “NTULIB” (Available to IOS App Store and Android Market). User interface is especially designed for viewing on mobile devices. 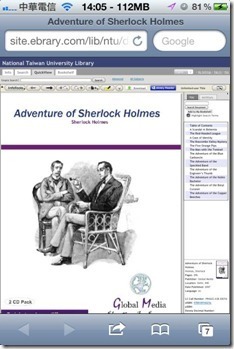 Open “NTULIB” APP. 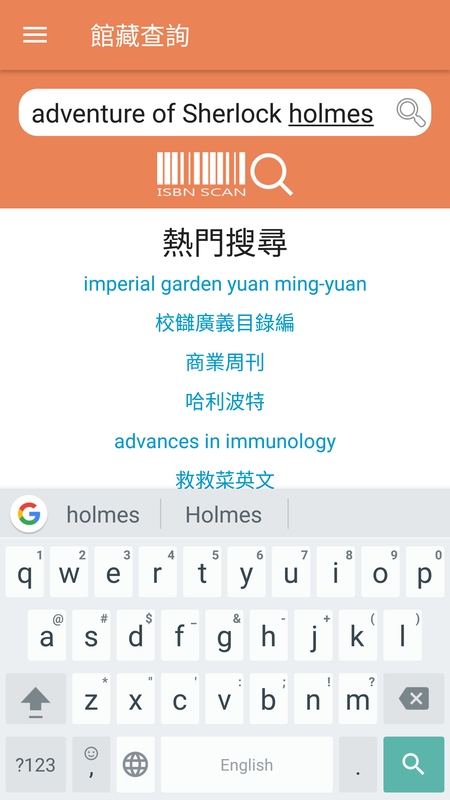 Find the main Manu, and click “館藏查詢”. Search a book title, and click the one you want to read. 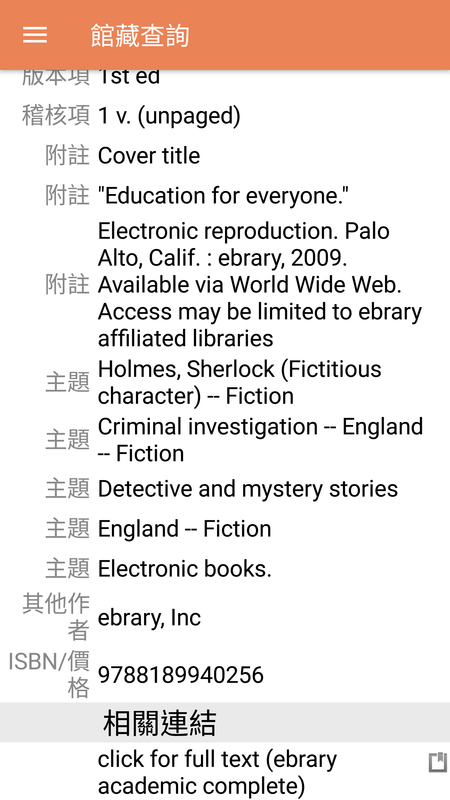 For example, we choose the first one with [electronic resource]. Go to the book information page, click the hyperlink “Click for full-text (Title of database)”. Open electronic book to read! If you have other in-depth questions, please e-mail to tul@ntu.edu.tw . We are looking forward to helping you in using library services. 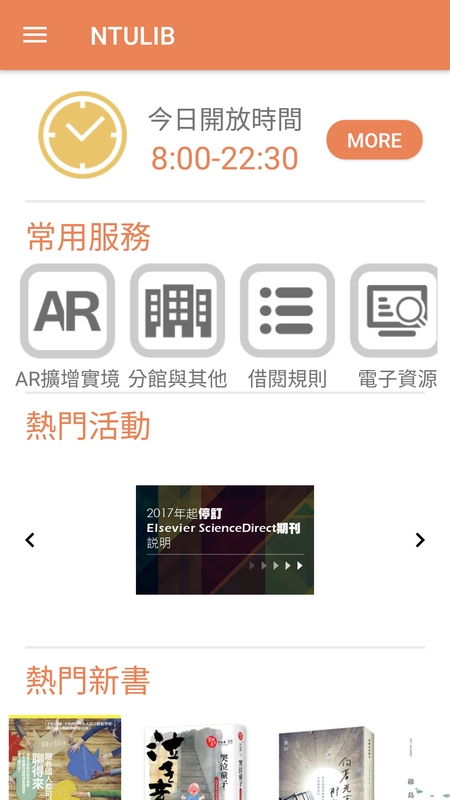 Other article about e-book: How to download e-books in ebrary? 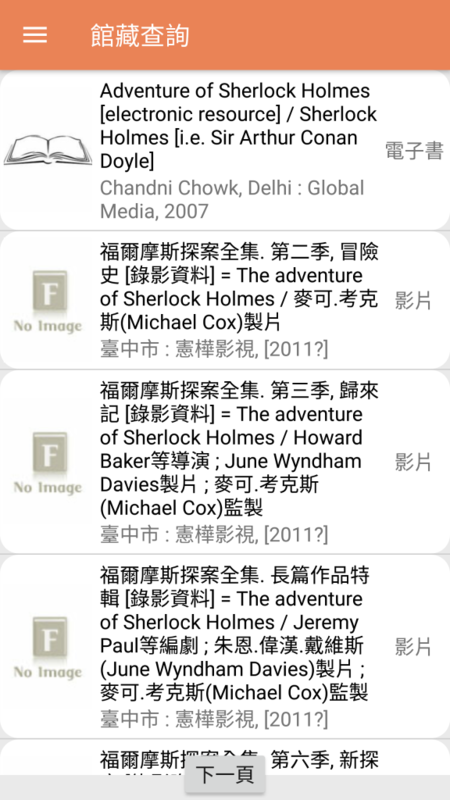 This entry was posted in English Articles, Getting Started / 資源指引, 綜合型館藏資源, 電子書 and tagged E-book, ebook, Electronic Book, 電子書. Bookmark the permalink.